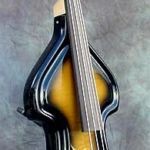 The Ray Ramírez Composite Series is the ultimate Electric Upright Bass. 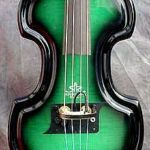 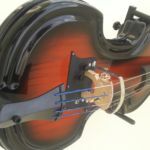 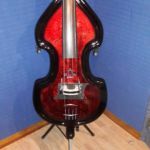 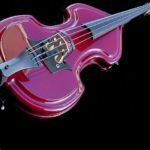 It offers the versatility of a very lightweight and beautiful instrument with the a sound and innovative craftsmanship that has been well accepted by the bass players. 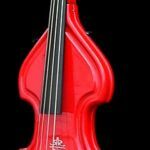 The body of the instrument consists of a fiberglass composite lamination that provides strength to the body to produce a sound with more punch suitable for the Latin Music. 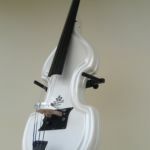 Each instrument features a neck made of tropical, american or exotic hardwoods depending on your selection to provide more stability and a dead note free sound to the instrument. 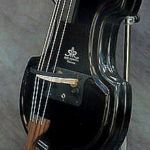 The neck can be easily removed for traveling. 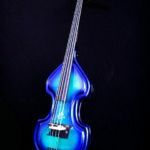 Each instrument is individually hand made by Ray Ramírez, giving special attention to the finest production, detail, quality and rich deep unmatched sound.